Discharge Instructions – Cardiovascular Associates, P.C. 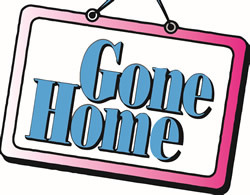 The decision to go home will be made by you in conjunction with your doctors. Most patients go home four to seven days after heart or lung surgery, but each case is treated individually. When you are feeling well, active, eating, and have a normal temperature and heart rhythm, it is time to go home. When you leave, we will give you an appointment for a checkup in the office. Your family practice doctor and cardiologist will also want to see you. If you are from outside the Mobile area, you should call your family physician after returning home. He should have received records of your hospital stay, but please call him and let him know you are back at home. Generally, he will want to see you in two to four weeks, but he knows you best, so check with his office about a follow-up visit. We will see you to check your wounds in two to three weeks. Afterwards, you will be followed by your primary doctor. We are always happy to see you at any time you or your physician desires. However, you must remember that regular follow-up with your physician to monitor your overall health status is essential to your long-term progress. After surgery, you should not do any physical activity with your chest muscles for two months. No heavy lifting greater than 10 to 15 pounds. You can ride in a car and, as you feel stronger, you can participate in many activities. You can walk any distance which is comfortable and you can climb stairs. Sexual activities can be resumed. Returning to work depends on the individual; however, most patients do not fully return to work until two months after surgery. No driving while taking pain medications. 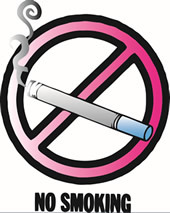 The single most important risk factor for heart disease and lung cancer is tobacco. YOU MUST NOT SMOKE, EVER! Do not allow others to smoke around you or in your home. This is the best time to quit smoking. When you are discharged, you will not have smoked for over a week, and you will have the best incentive of your life to stop. This is the time to stop smoking forever. Walk daily and gradually increase your activity. Begin by walking three or four times a day and work up to walking one to two miles daily. Your physician may recommend enrollment in an exercise program. This is an excellent way to continue your progress. After discharge, care for your incisions with antibacterial soap and water. Shower daily and clean your incisions. You may clean them with saline, peroxide or betadine solution. It is not uncommon for the leg incisions to drain some clear fluid. If this occurs, keep the incisions covered with gauze sponges. There may be some numbness around the incisions. This is normal. If you have leg incisions, the leg involved will typically swell. This will be worse at the end of the day. When not walking, keep this leg elevated above the level of the heart. Dentists and other doctors must be told of your heart valve condition and the medications you are taking. It is vital to the safety of heart valve patients that they receive antibiotics before and after dental work that is likely to cause bleeding. This includes routine professional cleaning and certain surgical procedures that involve the gums or other tissue in the mouth. It is also essential that your physician or dentist know if you are taking anticoagulant medication (Coumadin). If you are, he may make needed adjustments to prevent excessive bleeding.